I’ve been told that there is a new leader for the biggest walleye at Bosch winter test. 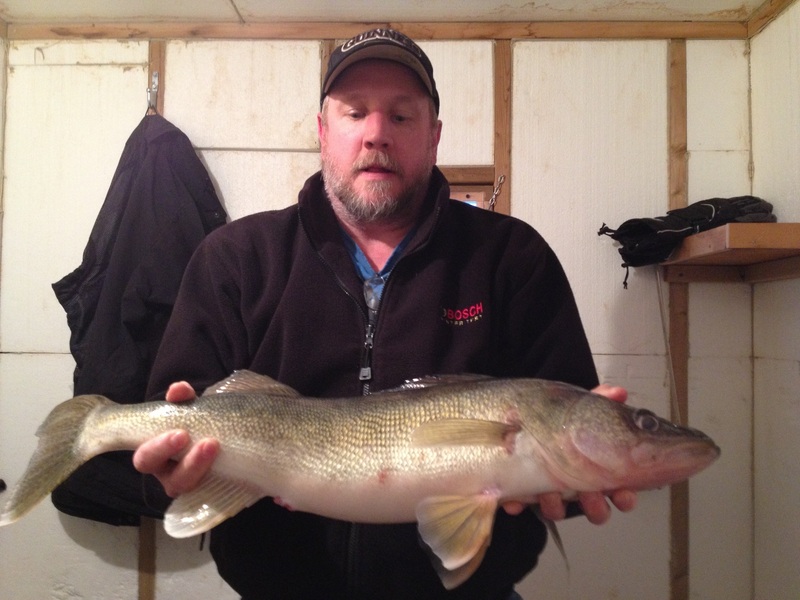 Jim replaced that 25″ walleye he caught in December with a beautiful 27-1/2″ walleye he caught last Saturday. He told me that it’s the biggest walleye he’s ever caught. He takes over first place by 1/2″. For a long time I have always referred to the personal at the Bosch winter test facility as the “Bosch Boys”. Now, most of the time, we have a Lady or two on site. The same would go for fishing. It was always just the guys, but lately, there has been a gal or two give it a try. 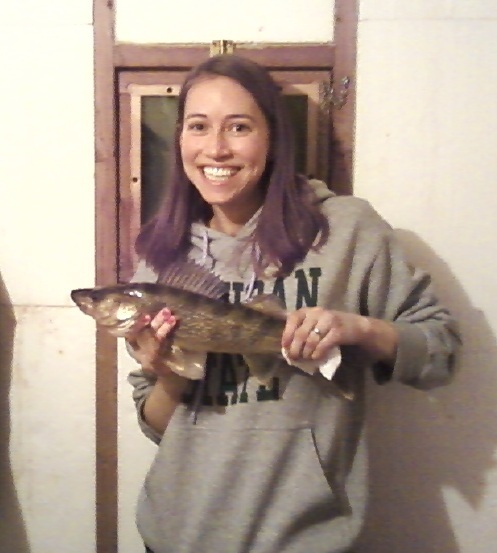 Last week, Sara, a newcomer to the Baudette facility, tried ice fishing for the first time and caught a dandy 18″ walleye. You can tell by the smile that she was pretty excited. You never know, but maybe one of these days I’ll have to write about a gal having her name on the leader Board. The cold weather that we’ve had the past few weeks have really turned the fish off. The reports I’ve heard from the lake haven’t been very good; very spotty. One day it’s good in one shanty, the next day nothing. The Bosch Boys (and gals) seem to have enough action in the river to keep them somewhat satisfied. Some warm weather should improve fishing.